90-Ball Bingo: In 90 ball bingo, players are provided with cards having three horizontal lines and nine columns. Each line has five numbers, totaling 15 numbers. The first column has numbers 1 to 10, the second numbers 11 to 20, and the third numbers 21 to 30. This continues all the way to the final column, which has numbers 81 to 90. The first step to be able to play online bingo is to register at any bingo gaming site. These sites then provide a random number card to the player. Each player can play up to fifty cards at a time. The online bingo computer software is pre-programmed to call out numbers between one and seventy-five, which are compared by players with the numbers printed on their card/s. The aim of the game is to make a certain pattern of numbers. The player who makes the required pattern first wins the game. Bingo! As bingo is a game of luck, we suggest playing three to four cards at a time. A second tip is to select a gaming site that has fewer players such as early in the morning or in the afternoon. Try to avoid weekends and always fix a limit that you play to on a certain day. If you cross this limit, stop. Otherwise you’ll end up losing lots and lots of money. Here are a few bingo strategies, which should help you play better. Firstly, a player should choose a hall, which is commonly called “bingo room”. Each bingo room and game is different – partly why people find playing this game so much fun. Here you can practice for free, hone your skills, get ready to play bingo online but you can’t chat or communicate with other players. This is all about preparation. The Main Hall allows you to play bingo for money. Now you can communicate and chat with other players and the interaction makes the game come alive. Various tournaments are organised by different bingo halls. Players can earn big money in tournaments, but be aware you can also lose large amounts too. After a player chooses a bingo room, they will have to go to the bank (cashier) and deposit money into an account. Only then are you able to buy bingo game cards boards. It is cheaper to buy three to four cards boards at a time, rather than buying small amounts after each game. The most important feature of a bingo game is Auto-Dauber’en. With the help of this ingenious feature, players can scratch out numbers, or if you are missing numbers, they will be scratched for you automatically. With the auto sort facility, a player can arrange their boards however their prefer. In most online bingo games, there is a big jackpot every hour. To win a bingo jackpot, players need to have bingo in the next few numbers drawn. 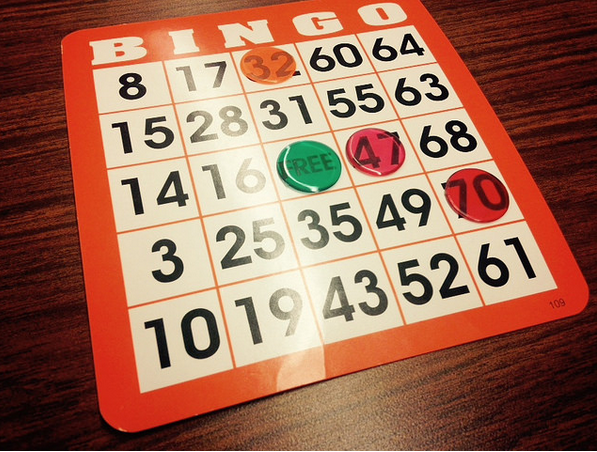 Every game of bingo has a particular pattern (usually a bit darker on the boards) that players need to complete by marking off the numbers called out. Most Bingo halls allow players to chat or communicate with other players. When playing online bingo, try to remain focused and attentive. Only buy a few cards if there are fewer players, and more cards if there are more people participating. Master how to play bingo then check out the other games available such as video poker or online slots – usually found next to the bingo boards.